Using the internet, you are bound to come across a 404 error page now and then, usually when a page you are looking for doesn’t exist. Most 404 error pages simply tell you that you are looking for a page that doesn’t exist and direct you back to the main pages of the website. 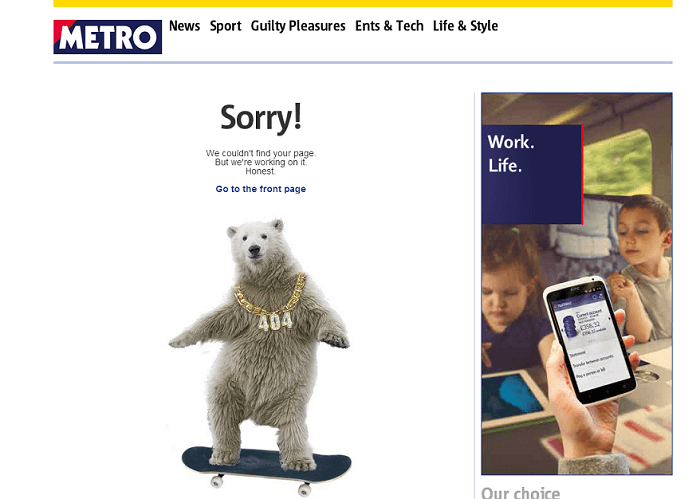 With web design becoming more and more creative, inventive 404 error pages seem to be popping up all over the web and some of these error pages are gaining a cult status. 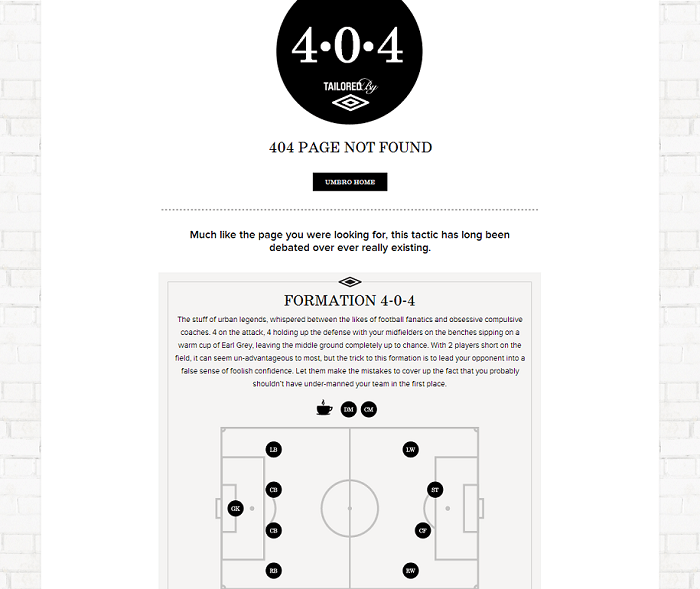 Sport clothing company and England football team sponsors Umbro have a brilliantly funny 404 error page explaining the 4-0-4 football formation. 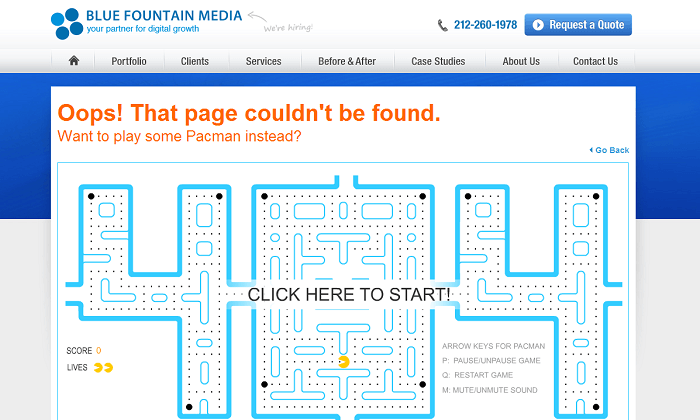 International marketing agency, Blue Fountain Media offer a page where can you play a bit of Pacman. Do you want to make your website more engaging? Whether it’s a new web design, a 404 error page or a creative marketing campaign, the team at Innermedia are the right people to choose.